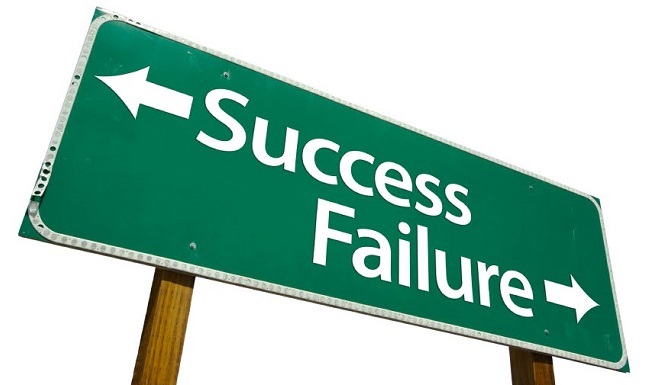 One way to increase your business’ chances of success in 2015, however, is to find out the reasons for businesses failing in 2014 and make sure you don’t make those same mistakes. Current global trends indicate that up to 70% of businesses’ marketing budgets will be spent on online content creation in 2015. Do you think that your outdated, stagnant website – which hasn’t featured any updated content for many months – fits this picture? If your website is nothing more than an online brochure, it’s not good enough. My logic says that whilst it’s critical to have financial and other management systems in place, if you don’t have customers coming through your ‘door’, your business will fail. Getting marketing wrong is one of the top reasons for businesses failing in 2014. We exist in a highly competitive world of instant knowledge and instant gratification. Google is today’s marketing ‘god’. Failure to recognise, adopt and keep up with marketing and branding trends is a prime ingredient for business failure. Make sure that you pay close attention to your online presence, including constantly creating new content, implementing an effective blogging strategy and making sure that you can easily communicate with customers and prospects. Don’t forget to ensure that your website is responsive and renders appropriately on all devices. Today’s customers use smartphones and tablets to research and assist with purchasing decisions. A business continuity plan is an essential element that aids business sustainability and reduces the risk of business failure. Business continuity plans detail courses of action to follow when circumstances indicate a potential business disaster is looming. A well-structured business continuity plan can easily mitigate most potential disasters. Could a disaster derail your business and cause it to fail? What kind of disasters should you be worried about in South Africa? Read more about this here and here. Leveraging your debt and managing your working capital is a major concern for businesses. Poor financial planning, including not accurately anticipating cash flow, is a problem for many business owners. It’s a well-worn cliché: turnover is the vanity, margin is the sanity and cash flow is the reality. At IronTree we prepare a daily cash flow and profitable forecast, which influences every decision we make. Not knowing your business cash flow status and not being able to predict at least eight to 12 weeks ahead is a sure way to compromise sustainability and raise the risk of business failure. Think about currently trending news topics, including the absurdly disgraceful Post Office strike as well as the pathetic (and unsuccessful) attempts by Cell C to muzzle very public customer feedback (which was a direct response to Cell C’s own ineffective processes). Dissatisfied customers vote very quickly with their feet and wallets, and tell many other customers about their experiences. In fact, people love regaling friends with poor service experiences even more than they enjoy telling good service stories, so a poorly handled customer service issue is likely to get your company more attention than a delightful customer experience. Check out our blog about service delivery here. But whilst poor service delivery and consequent poor customer response can easily fast track business failure, don’t be too despondent. If you think about it, it’s really easy to respond efficiently, timeously and appropriately to unhappy customers. What’s more, unhappy customer who have been properly treated and satisfied really love to tell others. A good response strategy actually buys enhanced customer loyalty as well as brilliant word of mouth reputation and brand building. I was recently listening to a radio commentator who was mentioning the American economist Paul Krugman. Krugman has compiled statistics that indicate that the less strategic objectives business owners and directors focus on over a 12-month business cycle, the more profitable their businesses become. Entrepreneurs are famous for perceiving additional revenue generating opportunities daily. You understand the revenue and costs clearly (model these over a 36-month period) You appreciate how much of your own time and energy you will have to devote to the new initiative (and be sure that to achieve this, you don’t have to neglect other parts of your business) You have the correct and available resources – human, financial and other systems – in place to be able to properly administer and monetize new ventures Lack of focus is one of the top reasons for businesses failing, which is usually caused by a lack of available resources as detailed above. I could go on and probably add 10 or more additional reasons to this blog. For additional reasons for businesses failing, check out this article. Watch this space for more about business continuity planning. In 2015, IronTree will be releasing a highly interactive business continuity planning system. This system will assist your business in planning and mitigating against all eventualities, being able to simulate an event, being able to fully audit and improve the simulation and being able to overcome the lack of services through planning, thought and systems, as well as alternatives to clearly crumbling government basic services.